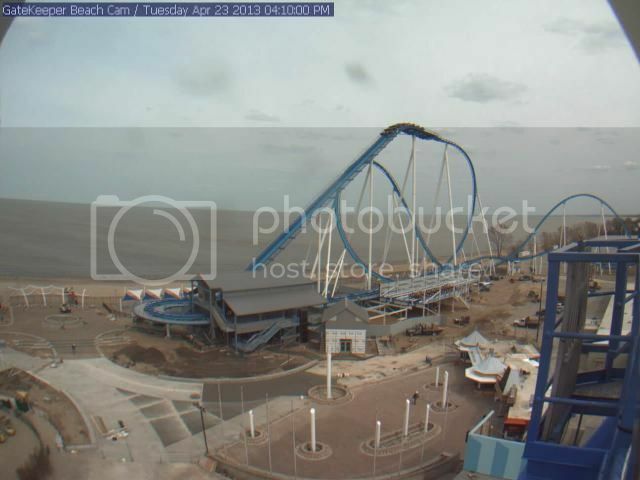 Wing Coaster's do look brilliant going up there lifthill. And GateKeeper is no exception, Not two long to go till the POV gets realised. The GateKeeper comercial is fantastic! That advert looks so much better than The Swarm's advert. Did it look like some real POV footage in it too? That advert does look good. It definitely looks like real POV in there. 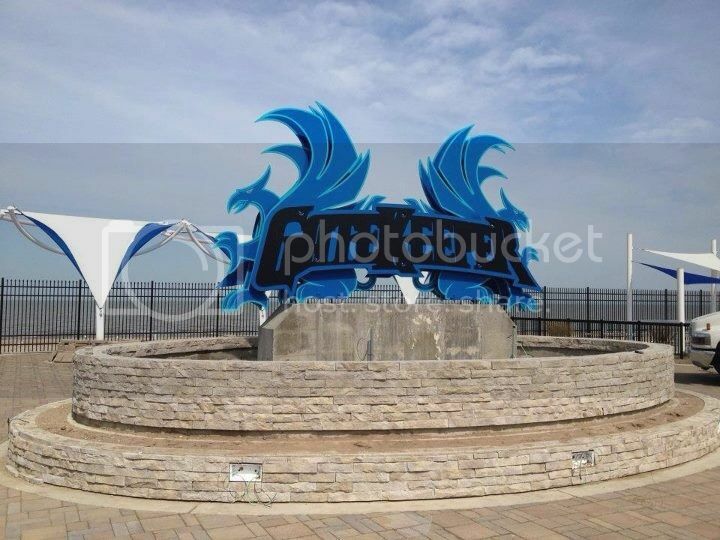 GateKeeper's entrance sign looks cool, however if the GateKeeper dragons were more like the Leviathan statue (3Dimensional) then it would be even more amazing. Oh wow! That is looking good! Who's going to be the first person to use that wall as a chair then? 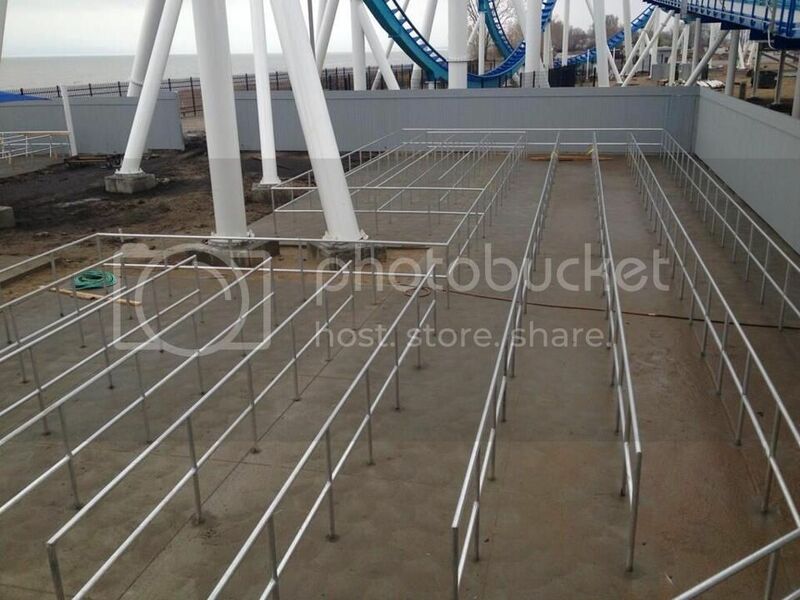 I never realised this section was going to be part of GateKeeper's queuing area. Mmmmm... Nice cattlepen there. Bland and concrete. Bet it'll be packed almost everyday though. That is a nice queue area for GateKeeper, it's much bigger than I also was expecting, because of the extremely compacted queue area for it.